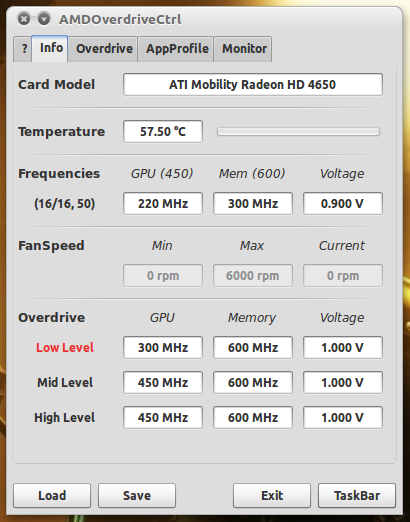 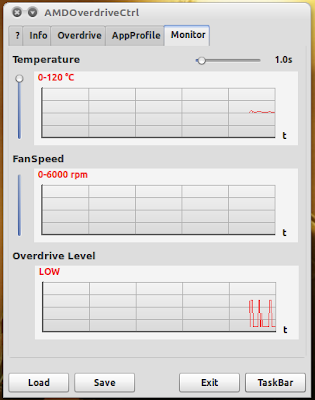 AMDOverdriveCtrl is a nice tool that can be used to tweak various graphic card settings like frequency and fan speed. 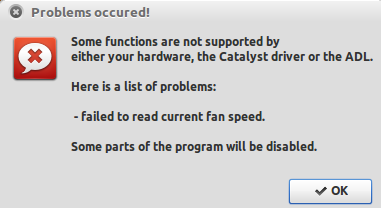 Currently it supports proprietary Catalyst drivers only. Please note that this is not an officially supported application. 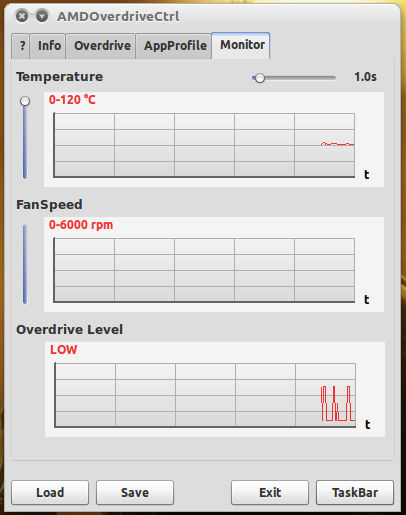 Use it at your own risk and only change settings if you know what you are doing and you know about various parameters. 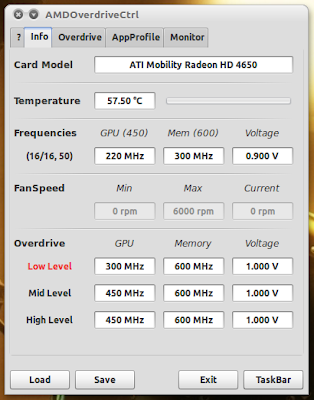 Some features may be disabled depending on you Graphic card type and Catalyst Driver version. 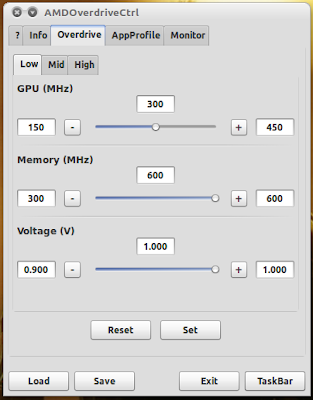 The application also supports profiles systems so that you can store different settings in different profiles.